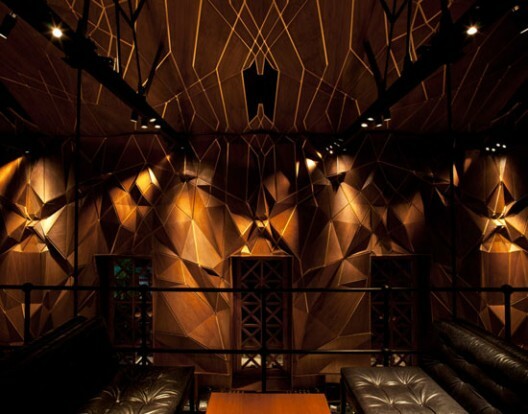 Chris Lee and Kapil Gupta from Serie Architects have converted a disused building from Mumbai’s colonial past into a banquet hall, restaurant and bar called ‘The Tote’. The site was covered with mature rain trees whose wide spread leaves shaded most of the spaces throughout the year, permitting almost the entire new program to occur outdoors. 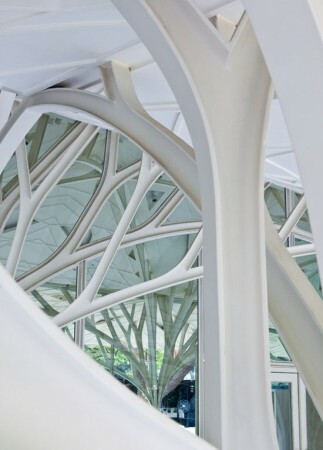 Inspired by these rain trees, a new structural system creates a stunning aesthetic that runs throughout the space. 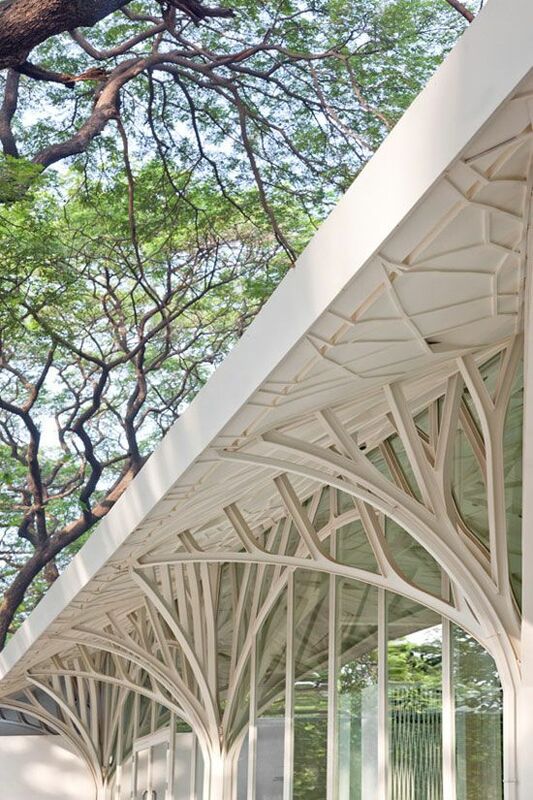 Designed as a steel truss, the challenge lay in working through the construction system compatible with local skills. Rather than looking at steel fabricators within the building construction sector, the architects sourced boiler fabricators for high precision work. This elaborate structural system becomes a spatial organizer as it defines each separate dining program (wine bar, restaurant, pre-function and banquet facilities) within a different spatial volume. 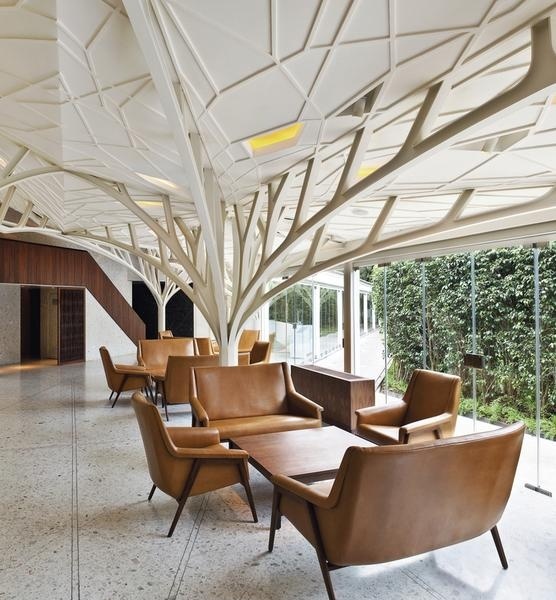 The interior of the lounge bar on the upper level is an intricate arrangement of 3-dimensional, faceted wooden panelling, that is an abstracted textured take on the trees’ intersecting branches.